Ads in Mobile Apps and Games 101. Free eBook. Everybody knows what a mobile ad is and how does it look like. But for an indie app and game developer that might be not enough while choosing the right monetization method and trying to reach their users’ hearts. Therefore, recently we published a book “Ads in Mobile Apps and Games 101” based on experience we’ve gained working with those thousands of mobile apps and games. In book you’ll find the main terms used in mobile advertising industry, get to know how to set goals and measure the effectiveness of your ad campaigns. And we’ll try to answer the question why you should definitely consider advertising as a monetization model for your mobile apps and games. You will find a free PDF version here. Ads in Apps 101. Part 7. Why wouldn’t I monetize with ads? In the previous parts we’ve covered reasons to monetize with ads, things you need to understand in the process and ways to improve the returns on you investment into implementing ads into your apps and games. In this final part we will address some real and imaginary reasons against ads. While the heading doesn’t look serious, it is, in fact, the most difficult objection to overcome. If you hate ads with a passion, not much can change your mind. I still encourage you to re-read the first part of the series and consider the pros and cons of using ads versus forgoing the revenue they could potentially generate for you. After all you are in the app business and you should consider what is best for it. You may still conclude that ads is not the right way to monetize your app or game, but you should come to this conclusion logically, without any prejudice. Ad based monetization is volume based. Even if you have a decent number of active users of your app, but if they launch it once a week and spend a few seconds there (by design), then you should most definitely look at other monetization models. Ads won’t do much for you in this case. Obviously it’s hard to claim that ads improve user experience or don’t affect it at all. Having said that, the same could be said about any attempt to monetize. 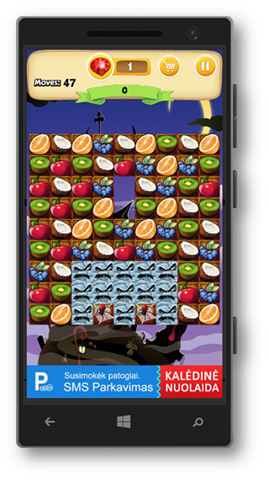 Paid apps put a barrier to entry and free-to-play games alter the whole gameplay to improve monetization. So, unless you are making apps as a hobby, you will have to choose your “poison” at some point. The bottom line is that you evaluate your user base and decide which method is the best compromise between revenue for you and experience for them. When you serve ads from an ad network the data goes to that ad network and sometimes it is more data than you are comfortable with. However, the same amount of data (usually more) is also transferred to your analytics service, crash reporting service, etc. Unless you don’t use any of those, it is not very likely that you will add some extra permission requirements for your app by using ads. And as for privacy concerns, you should obviously do some research on the firm whose SDK you plan to integrate into your apps. With paid apps or in-app purchases your revenues are pretty stable relative to your user acquisition efforts. This is not the case with ads. Your ad network may have a very good month with a huge advertiser spending a lot of money. But the month ends and that advertiser’s budget goes with it and the same provider generates pennies on the dollar compared to the previous month. When you monetize with ads it is very important to maintain discipline and hold off on leasing that Ferrari when you have a good month. You may need that money to amortize low revenues in the forthcoming months. The best way to mitigate this is to implement the “waterfall” mechanism we’ve covered in the earlier part. This way you can dynamically control your ad configuration and choose the best performing provider at any point in time. Starting to monetize with ads is really easy. Making the most of it is not. But with some reasonable effort you can get to a place where you are able to react to changes in the market and then you can decide on how proactive you want to be with it. You don’t have to prioritize revenue optimization when you have more important things to do. As you can see, you can find a reason to quickly dismiss ad monetization, but none of these reasons are a silver bullet and applicable in every situation. More often than not, ads can improve your monetization, in turn allowing you to afford spending more time working on your apps and in the end improving experience for your users. I strongly encourage you to include ads into your monetization strategy and I’m pretty sure that you won’t regret it. In the previous parts we’ve learned how to evaluate and optimize our ad monetization efforts. We will cover several gotchas and things you should pay attention to while setting up and managing your ad monetization strategy. Does your ad provider disregard the fill rate while calculating eCPM? We’ve already discussed that different ad providers may deliver different fill rates for different types of apps and audiences. The question is how do they report it to you? This looks fine on the surface, but what does “Impressions” mean in this case? If you only have this one measure in your report and don’t have fill rate or the number of ad requests to compliment it, mostly likely it means that the ad network calculated the eCPM based only on the ads they actually delivered and disregarded all requests that returned empty-handed. As you can see the ad network honestly reports that it was able to fulfill only 50% of your ad requests and calculates your eCPM based on that. Obviously, if you compare two ad providers and don’t pay attention to the method they use to calculate eCPM, you will choose the first network because the eCPM looks 2 times better. In reality, though, it’s quite possible that the second one actually delivers better results. For all we know the first one may have a fill rate of 10% or even less. Ad networks like to display impressive eCPM numbers on their websites to lure publishers. But if you blindly compare these numbers (even if they are absolutely honest) you are probably not getting the whole picture. If one ad network promises $5 eCPM but only runs interstitial ads and another network claims $1 eCPM on banners, which one do you choose? From a purely commercial point of view the answer comes down to your ability to show more than 5 banners (say during game play) in a timespan when you would display 1 interstitial (say after each level). If you can do this the “banner network” will actually deliver higher revenues. Obviously in this particular scenario there’s nothing preventing you from using both of them, but when you start comparing interstitials to video ads, etc., you often have to choose one or the other as your primary network. Can you control minimum bid? Some ad providers let you set a minimum accepted bid, meaning that if an advertiser bids less than $X on your user you refuse to show their ads. When an ad network doesn’t allow you to control this you may end up in a situation where an advertiser bids 1 cent for a click and you end up showing their ads, even though you don’t make any meaningful money from such ads. In cases like this you would rather switch to a different ad provider or display your own house ad. 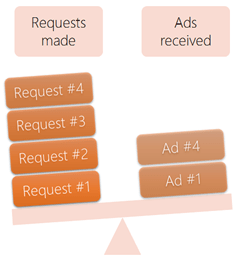 In the previous part we’ve introduced a concept of fill rate – percentage of ad requests fulfilled with actual ads. The harsh reality is that it’s almost never 100% for any particular commercial ad network – there’s just more ad space on the web and in apps (supply) than there’s advertising dollars to spend on that space (demand). Your ad network is basically doing the sales for you and as all the sales-based operations they may have better or worse months, stronger or weaker areas like countries and regions or industries. Therefore while implementing an SDK from just one network into your app is very easy, as most of the money related things, it’s not that easy to get the maximum result out of those ads. Some ad providers are doing what is often called server-side mediation. You integrate one SDK into your app and the ad server offers your users to multiple ad networks who bid on that ad request based on the desires of the advertisers they have. The whole auction happens in real-time hence the term you’ve probably heard before – real-time bidding or RTB. This is all good, but it’s still limited to the number, quality and relevance of the ad networks integrated into your provider’s backend. It also ads additional uncertainty on the type of advertising you’ll get delivered to your users since it’s coming from any of the multiple sources that you don’t necessarily have any control of. So instead of, or in addition to, using an ad mediation network you can do your own client-side mediation or what some call a waterfall algorithm. What it means is that you integrate multiple ad provider SDKs into your app and switch between them based on your own criteria. In the simplest form you request an ad from your most preferred ad network and, if it can’t provide one, you switch to your number 2, etc. A more sophisticated solution would allow you to have different setup for each region and update your configuration without having to update your app. You can build a simple system like this yourself or you can use a solution that someone else made. On the Windows side there’s an open-source project called AdRotator and then there’s Microsoft’s own Ad Mediation. In a setup like this you have the most control of what’s going on in your app and with some experimentation you can get pretty close to that coveted 100% fill rate. There’s only one thing separating you from true 100% – something that, even if you can’t get paid for the impression, will provide an ad no matter what. This could be an ad for your other apps or games, or an ad for your friend’s app, or an ad for your favorite charity. You can also swap ads with some other friendly publishers or join a cross-promotion network to promote your app for free and without sacrificing any potential revenue – remember that at this step you are using your unsold inventory which would go to waste otherwise. While these techniques would definitely help you improve the ad fill rate in your apps, you can take it one step further. Once you’ve achieved virtually 100% fill rate you can start optimizing the order of ad networks in your waterfall in different countries and different types of apps and games. This way you’ll be able to configure your setup in a way that yields you the best returns. Whether this exercise is worth the trouble is for your to decide, but know that there’s always a room for improving your ad monetization. It won’t make a difference between starving and royal riches, but once you get to a certain level, even a few percent improvement could be pretty substantial in absolute numbers. In the previous part we took a look at what metrics advertisers use to measure effectiveness of their campaigns in your apps. Let’s turn to a topic that is more important to you as an app and game publisher – namely, what performance indicators you should care about when monetizing apps with ads. You can go into a lot of detail on this topic, but on the surface there are only 2 KPIs you should care about. You are providing advertisers with a limited resource – ad space in your app. The amount of the available ad space doesn’t change based on the quality of the ads you run in your app (discounting the cases of really bad user repelling ads). Therefore you shouldn’t be responsible for the fact that one advertiser made a less attractive ad and/or product than the other. Your space is worth something to you and that’s what you would like to get from any of the ad providers and advertisers occupying that space in your app. Unfortunately in the buyer’s market it doesn’t always work that way. As we’ve seen in the earlier chapter mobile ads are not always sold on the CPM basis. And unless you are a really important fish you will have to deal with this. But you don’t have to guess which of the advertisers or ad providers is better for you. That’s what eCPM is for. eCPM is any ad sales model (CPC, CPI, CPA, etc.) converted to CPM. Let’s illustrate this with a couple of examples. Or, for example: if you sell clicks for $0.10 (CPC) and CTR on those ads is 1% (or 0.01) then eCPM = $0.10 * 0.01 * 1,000 = $1. When advertiser is paying for installs, you will need to know the CTR and install rate (IR) to calculate your eCPM. Or, for example: if you get paid $1 per install (CPI), CTR is 1%, as in previous example, and install rate (IR) is 10% (or 0.1) then your eCPM = $1 * 0.01 * 0.1 * 1,000 = $1. The second important KPI for app developers, and the one that not everyone is familiar with, is called fill rate. Fill rate represents a percentage of the ad inventory filled with actual ads. Every time your app requests an ad from an ad network, contrary to what you may think, there’s no guarantee that you will get an ad back. In reality you may get a decent fill rate from a network in one region and zero ads in another. All-in-all it’s hard to expect to fill anywhere close to 100% of your ad space, if you don’t proactively attack the issue. In the next part we will discuss just that – maximizing your fill rate and returns on your ad space. Stay tuned. In part 1 of the series we’ve covered some reasons to monetize your mobile apps and games with ads and in part 2 we’ve talked about the types of ads and ad providers as well as the very basic terms used in the industry. In this part I want to concentrate on the key performance indicators advertisers care about when they run campaigns in your apps and games. Why is this important to you? Well, it is always valuable to understand what are the goals of your direct or, in this case mostly indirect, customers. Additionally it is very likely that you’ll find yourself on the other side of the equation once in a while during your app publishing career. So let’s begin with the simplest things and go down the road to more elaborate and meaningful metrics. It isn’t easy to measure if/when your player actually looked at the advertiser’s ad, but very easy to know when they clicked on it. So a click-through is the very first and basic result of an ad campaign. And CTR is the metric telling you what percentage of the ad impressions result in an actual click. What is a good CTR? Well, from our experience the average worldwide CTR on in-app banners is around 1% and for interstitials it’s somewhere in 5-10% range. Obviously a lot of factors can influence the specific CTR for your campaign. Your creatives and your targeting are the primary influencers for the click-through rates your campaign gets. How do you improve CTR? Unless you are paying for clicks (CPC), your goal is to increase the CTR as much as you can. Obviously creating a very luring but absolutely misleading creative can backfire on your credibility, but other than that, whatever makes the user want to tap on your ad is generally great. Having said that, clicks are almost never your end goal, so CTR is primarily a KPI for figuring out the most attractive ad copy. While getting a lot of clicks is great, it doesn’t give your app’s ad campaign much, if no one installs the app after clicking on the ad. This is what IR is here to measure – percentage of clicks resulting in an app installation. This is one of the metrics that is not very easy to measure, but there’s a number of companies providing 3rd party (read unbiased) conversion attribution tracking. What is a good IR? I’ve seen a lot of numbers, but my understanding is that around 10% is normal for a free mass market title (or a well targeted campaign). How do you improve IR? Provided that the user has already clicked on your ad and ended up on your store listing page, the listing’s copy, your screenshots and reviews are the main factors affecting your install rate. Your goal is to close the deal with a clear and attractive store listing. One thing to note, though, is that the more specific your ad leading to the click was, the more logical it is to expect an install to happen (meaning higher IR). However very clear message ads are not necessarily attracting the most clicks and it’s easier to close the deal when you can present more information in the store, than to fit it all in an ad. The key is to find the right balance. If you are an app/game advertiser one of the first actually meaningful results for you is app installation. What is a good CPI? Again this depends on a lot of factors like platform, country, genre/category etc. but a ballpark number is somewhere from around $1 to $4-5 or even more. How do you improve CPI? In this case improving your cost per install means lowering it and to do that you improve a combination of your CTR and IR. If you manage to improve at least one of them without sacrificing the other your CPI will go down. Obviously if you aren’t paying for your campaign on a CPI basis the quality of the network your ads go to affects the CPI a lot. Finding the best source of installs is mostly a trial & error process. One network can work great for one type of apps in one region and be totally worthless in some other case. At the end of the day the only thing that you care about is how much you make from each dollar invested in advertising. Sometimes direct returns are not an objective for you at the current stage. You may be doing a push up the app store charts or doing something else that is not directly linked to monetary returns. But when you do advertise to acquire new users whom you plan to monetize then the basic formula is pretty simple – you want to buy users cheaper than their lifetime value (LCV). In a very simplified form you know an average revenue from your users and you compare that to the price you pay to acquire them. In reality a lot of other variables come into play. Things like virality (how many “organic” users does one “bought” user bring via word-of-mouth) and quality of a particular user cohort (not all the users were born equal) can affect ROI of a particular user acquisition campaign dramatically. How do you improve ROI? In theory it’s very simple – acquire better users cheaper and improve their LCV. Improving LCV is outside the scope of this series and acquiring better users cheaper is basically an exercise in trial & error. You can obviously rely on recommendations from your colleagues in the industry, but it’s quite common that what works for one person doesn’t work for the other and vice versa. In the next part we will look at the other side of spectrum – KPIs that you as a developer monetizing with ads should care about. In the first part of the series I’ve outlined several reasons to consider advertising as a monetization option for your mobile apps and games. Today I wanted to cover some of the basic terms used in the mobile advertising industry. Let’s start with ad types. 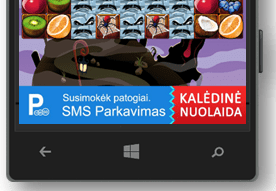 The most widespread and “old school” type of ad is a banner ad. They probably don’t need an explanation, but if you don’t know what they are, you can see one on the right. Ads occupying most (all) of the screen and usually displayed during natural pauses in app’s flow, thus mostly applicable to games. For the purpose of this discussion I will group video ads and playable ads (mini demos) into the same category. Offer walls usually display a number of ads on the same screen and occupy the whole area(hence the name). Native ads are almost indistinguishable from app’s content. Think promoted tweets or court-side ads in a sports game. You can obviously spin out your own ad sales and serving operations, but for most indie developers and publishers this would be a huge overkill. So most of the time your ads will come from some 3rd party ad provider or a set of them. Ad provider market is a busy place, so almost every ad company tries to invent a new term for who they actually are. You will work with ad networks, ad exchanges, ad mediators, DSPs, SSPs, direct deal marketplaces, and a combination of those words in various order with a word “performance” mixed in. As far as publishers are concerned you mostly care about the returns they can provide you, quality of their SDK (you don’t want your game to crash because of the ad SDK), and the quality of ads they deliver (you don’t want your users to be disgusted by what they see). We will talk about getting the best returns in a future part of the series. 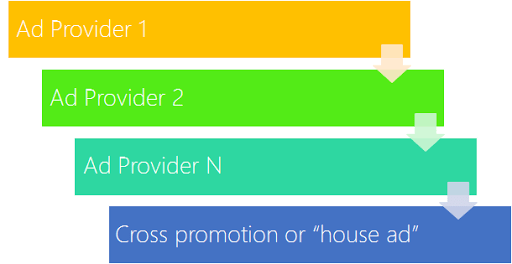 And in case you care about all of these provider types, check out this presentation or this blog post. Impression – every time an ad is displayed to a user is called “ad impression”. CTR (click-through rate) – percentage of ad impressions resulting in clicks on the ad. CTR=Clicks/Impressions. For example, if an ad was displayed 1,000 times and was clicked 20 times you have a CTR of 2%. IR (install rate) – this is app specific and means a percentage of clicks resulting in app installation. For example, if 20 clicks from the previous example result in 2 app installations, you have an IR of 10%. When advertisers order advertising campaigns there are various way they will be charged for it. As an advertiser pricing model may influence the type of creatives you use. As a publisher quite often you are not directly exposed to the way actual advertiser pays for their campaign, but, if you are, this may affect your ad placement strategy. CPM (cost per mille or 1 thousand impressions) – advertiser pays for a number of ad impressions. This is the most fair model for publishers. After all you sell space in your app and you don’t want to be responsible for whatever advertiser decides to advertise. Unfortunately for you in a buyer driven market it’s not always that advertisers would want to pay for impressions. This was especially true in the last couple of years, but recently I’ve started hearing savvy advertisers admitting that pricing model doesn’t really matter as long as they can assess key performance indicators on their end. CPC (cost per click) – this is probably the most popular pricing model, popularized by Google on the web and expanded to mobile later on. While it is wide spread, I think it is one of the most unfair models on mobile to both parties. It’s no secret that the number of accidental clicks on mobile is quite high and someone is paying for them with the CPC model. CPI (cost per install) – this is one of the most popular models with app advertisers. While advertisers pay for some sort of desired outcome (app install) the methods to track these conversions rely on quite a lot of “magic” and, as a publisher, you bear the penalty for the quality of advertised product. CPA, CPL, etc. (cost per action, cost per lead) – while install is some sort of outcome, more often than not it’s not the final goal of the advertiser. In an ideal case for the advertiser they would only like to pay a share of the money they make from users you bring them. Luckily for you these models are not as widespread in the in-app advertising. However, if your app is highly targeted at some lucrative niche, this could be a good way to get referral fees from the companies working in the same space. That is it for this part. In the next part we will talk about the KPIs advertisers care about and what it means for you as a developer/publisher. Ads in Apps 101. Part 1. Why would I monetize with ads? Everybody loves ads. Right? Right!? Well, it’s not that easy to find a person who would agree with this statement. But nevertheless rational people learned to accept ads as necessary “evil”. The number of people who “love” ads is more or less equal to the number of people willing to pay for the content on the internet. Most of the web content is monetized with ads these days. In-app ads is the first or second (depending on a platform) monetization method for app developers. Yet, most of the indie app and game developers are easily lost in the sea of terms and 3-letter acronyms used in the advertising industry. I was in the same shoes when I entered advertising industry almost by accident. I had to learn most of these things as I went. So I decided to make it a little easier for my fellow devs by collecting most of the basics in a series of several blog posts. This is the first post in the series and what I’m trying to do here is answer the question why, despite the fact most people dislike ads, you should definitely consider advertising as a monetization model for your mobile app or game. Why would I monetize my mobile app or game with ads? According to Developer Economics Q1 2015 report 36% of app developers use in-app advertising as their revenue model (or one of them). Clearly this number is much higher than the number of people wholeheartedly liking ads in general. So why do they do it? In the early days of app stores users were buying paid apps quite actively. Then pricing quickly converged on $0.99. Then people collectively decided that even that is to much and you can’t blame them. With millions of apps in the app stores, for almost every mass-market paid app there’s a good-enough free alternative. So developers had to turn to alternative means of monetization: in-app purchases and/or advertising. In-app purchases work great in games and apps specifically designed with this model in mind. But what if this is not how you want to structure your app? What if you want to turn your paid game into a free game? Advertising can be used to monetize your apps without changing what that app actually is. You may need to find a place for the ad in the UI (in the case of banner ads), but you won’t have to artificially slice your app into pieces or invent other tricks to make it work with IAPs. And even if you design your game as a free-to-play title from the get go, it’s a well know truth that only a few percent of your users will ever pay for anything in your game. You may decide to accept that the remaining ~95% of your users won’t bring you any direct revenue or you may use ads to make money from 100% of your user base. Additionally, if you offer ad-free experience to all of your paying customers, this could very well be that small extra push for them to make a purchase. And, as everyone knows, the first sale is the hardest. While in-app advertising is primarily considered as a revenue generating tool, it could very well serve you on the other side of the spectrum – app marketing and user acquisition. Successful publishers use the collective power of their previous apps and games to jumpstart their new titles. This is much easier to do when you already have dedicated ad space inside your apps. Even if you don’t have previous hits or if you want to widen your target audience you can swap ads with other friendly publishers or use a cross-promotion network to automate the process. You can always switch back to partial or pure monetization once you achieve your marketing goals. Hopefully I’ve convinced you that there’s a totally legit place for advertising in your app monetization strategy. In the next part I will cover the basic terminology used in the in-app advertising industry. Stay tuned. Advertising is one of the two most popular monetization strategies on any mobile platform. Yet the field is filled with confusing terms, metrics and acronyms. Realizing that I gave this talk at the AppCampus AppCademy yesterday. While some commentary is definitely needed for quite a few of these slides, I think that they still can provide a good starting point for an indie app developer trying to navigate the complicated minefield of mobile advertising. I will write a series of blog posts on the subject of some of these slides during the next weeks/months. So stay tuned. In the meantime I’m open to speaking opportunities at your conferences, user groups and other events. Send me an email at alan@adduplex.com and quite possibly we will figure something out. Here’s a popular fairytale – when you finish developing your great app and publish it in the Store, you just relax, sit and wait for the users. “Build it and they will come!”. Unfortunately this is nothing more than a fairytale. Most likely your future users won’t be aware of your new app. That’s why you need to do some marketing for it. And as we all know marketing campaigns are not that cheap. Besides, the vast majority of developers do not have a big marketing budget. What app cross-promoting actually is? App cross-promotion is a marketing and user acquisition strategy that encourages users to use another similar app or game. In other words developers share the love by helping their developer friends by advertising each others applications. Free of charge. Cross-promoting is a perfect solution for developers with low budget because it’s FREE. The exchange ratio is 8:10. This means that for each 10 ads displayed in your app 8 of your ads will be shown in other apps (the remaining 2 ads are being sold to support the service). Focused. Another huge advantage is that cross-promoting is highly focused. 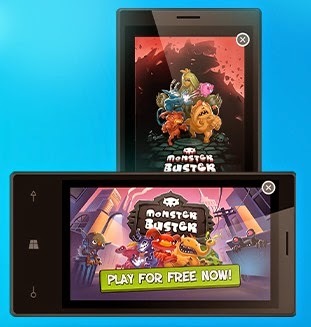 AdDuplex cross-promotion network is precisely focused on Windows 8 and Windows Phone apps and games. So you can be sure that your app’s advertising space will not be filled with shower gel adverts, etc. 100% fill rate. AdDuplex helps you to utilize 100% of your ad space. Why is this important? If you are serving paid ads in your application you should know that the average fill rate in mobile ad space could be as low as 10%. This means that you are wasting your ad space 9 times out of 10. Combining paid ads with AdDuplex cross-promotion might become one of the most effective strategies because the fill rate will increase up to 100%. So even when you are not making money from the other ad network you get free promotion for your app. Global. There are more than 8,500 apps in AdDuplex network with users from all over the world. And that generates more than 30 million ad impressions per day. Therefore your ad will be shown to users from more than 200 countries and it will definitely help you gain access to a wider user base. To sum up, AdDuplex cross-promotion network enables you to reach a wider audience of new users from different apps you wouldn’t normally have access to. It is a free win-win solution for Windows Store or Windows Phone developers to effectively promote your apps and acquire more users.